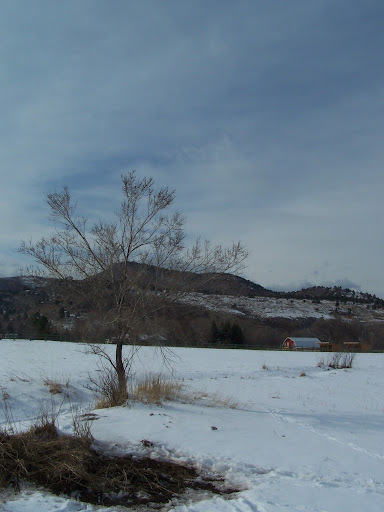 A picture I took near my new home in the town that gave me so much inspiration to do big things with my life (Lyons, CO). I have always been a goal setter and a goal failure. This year I am really determined to succeed. I am going to break down my big goals into smaller goals. Hopefully this will help me to not fail. How are you going to accomplish your goals for 2012? Posted in Goals, Photography, Weight. Bookmark the permalink. I have set my goals and resolutions for 2012. I made a google doc to help me keep track of where I am and what I need to do next to accomplish them. My hope is to write a post at the beginning of each month with a few small steps to do in order to accomplish each of these larger goals. I have decided to really work on losing my college weight. All those boxes of pasta-roni and liters of dew have added about 40 lbs to my body. I have been trying to lose the weight since i graduated about a year and a half ago with about zero luck. I have joined That Wife’s second weight loss challenge. My weight goal is to lose 25% of my body weight by the end of the challenge (April 15th). I am going to make some “life” changes to help me with losing the weight and keeping it off. 1. I will run/bike 3 Monday, Wednesday, and Friday. Whether I run or bike will be determined by how my knee is feeling. If I run I will go out for 30 minutes. If I bike I will go out for at least an hour. 2. I will do some form of strength training on Tuesday, Thursday, and Saturday/Sunday. For the first 6 weeks I am going to be doing the 100 Push up Challenge. After I finish that I will start lifting weights. 3. I will limit my sugar intake (minus whole fresh fruit) to once a week. I have a really bad sweet tooth that I need to curb. If I am in a social setting where it would look rude if I didn’t have dessert then I will allow myself to have it even if I have already used my weekly allowance of sugar. 4. I will limit my carb intake to whole grain/ whole wheat products. I will continue to eat sour dough in place of most of my bread intake. 5. I will only eat when I am hungry and take a picture of everything I eat. I will put all of my pictures in OneNote. 7. Always eat at the table. If I’m not hungry enough to eat at the table, I’m not hungry enough to eat. I am hoping that by writing down my goals/changes that I will be better at sticking to them. The end goal is not so much weight loss as it is getting in shape so I have more self confidence and so I can do better next year in triathlons. Posted in Weight. Bookmark the permalink.